Joe has always been into fitness and all types of athleticism. He played football, baseball and ran track in high school, breaking a lot of records in the 100m, 200m and long jump. After high school he got into strength training and learning how to bulk up and put on muscle. Once that avenue seemed to be exhausted, he wanted more and wanted to start a career in the fitness industry. Joe’s passion is to help others be the best they can be in the health and fitness field no matter the age or level of fitness they are in. He is always up to date on the latest training techniques and attends “Perform Better” conferences every year, where top trainers and chiropractors lecture and do hands on workshops on the most up and coming information. His favorite part of the day is when a client leaves a session knowing that they were better than they were yesterday and thank him for it. High energy and positive thoughts are what drive him to support each and every one of his clients to success. 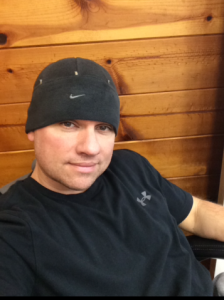 Joe is also an owner of Fitnostics in Stonington, CT featuring personal training in team and small group settings.